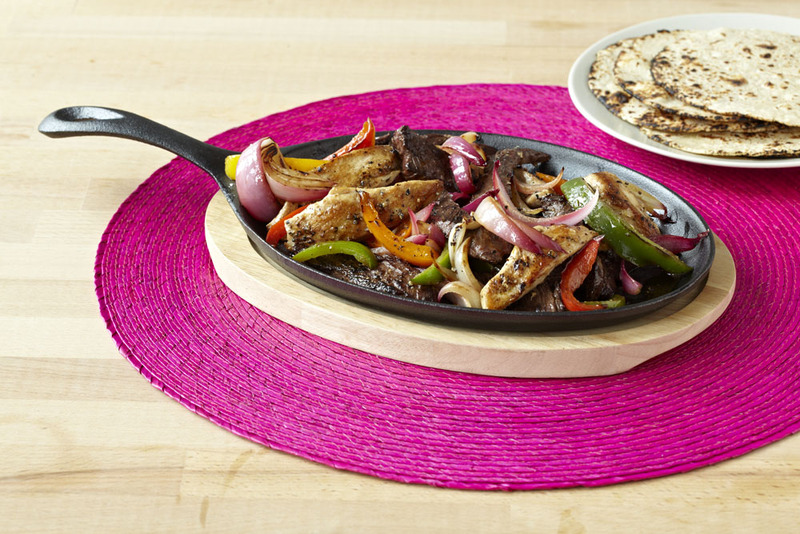 Feast on flavor with our new oven-safe IMUSA FAJITA SKILLET. Delight your taste buds with this restaurant inspired prepare and serve design that allows you to take your most sizzling dishes from the stove right onto the dinner table for all to enjoy. 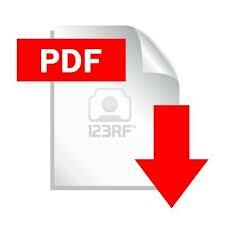 • Avoid cooking very cold food in the pan, as this can promote sticking. 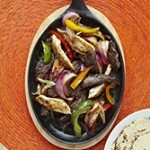 Cleaning: The IMUSA FAJITA SKILLET will last a lifetime if properly taken care of. harsh detergents. Never wash in dishwasher. surfaces while pan is still warm. 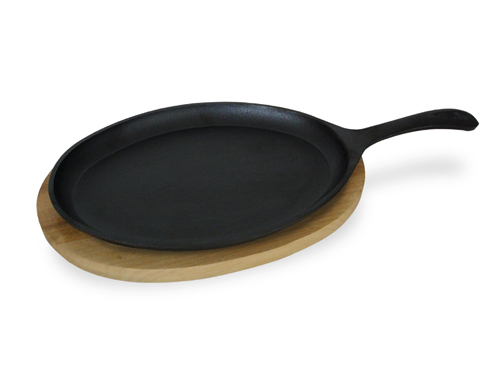 Re-Seasoning you Cast Iron Pan: If food sticks to the surface, or you notice a dull, gray color, repeat the seasoning process. you are preparing to re-season the cookware). Rinse and dry. your choice) inside and out. least one hour. Turn the oven off and cool completely in oven. • Store the cookware uncovered, in a dry place.